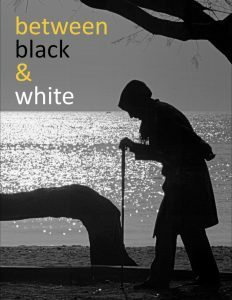 between black & white - thoughts. words. action. Nowhere is this division more obvious, more acute, more noticeable than in our everyday relationships with one another in our normal, mundane day to day living. The simple fact of the matter is that we are conflicted, confused and often deeply wounded. And the fact of our “brokenness” tends to manifest as deep loneliness and a feeling of estrangement from the very people we desire to be closest to and share our lives with. Every story has a beginning, a middle and an end. Though we can never be certain when our own particular “ending” will be, I’d like to think that I’m somewhere near the middle of this journey. At least, I hope so. I still design and build websites, and I still enjoy doing it, too. And here I am, still writing poetry. Apparently I’ll keep doing that too until the well runs dry (if it ever does). Hopefully that won’t be the case, because writing these mostly short poems often feels like a cool breeze passing through the hot summer day of my life, so to speak. Along with poetry I’m working on a number of other projects too, such as a collection of essays, a novel and a TV pilot script which might actually get produced one day soon. Or has it already by the time you got this book (“The Watcher”)? And in case you’re mildly curious I still live in CT with my wife and our two children (though the pristine beauty and peace of Iceland continues to tug at me).